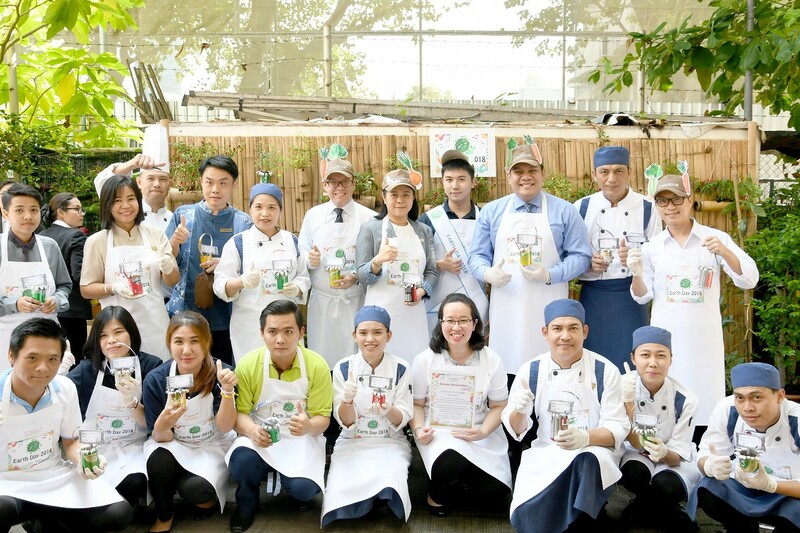 The Chatrium Hotel Riverside Bangkok’s Green committee – led by its General Manager, Mr. Patrick Manthe (Standing row, 6th from left) – organized a Kitchen Garden Workshop to celebrate Earth Day. The objective of the workshop was to increase employees’ consciousness of environmental conservation efforts, with a focus on the planting of trees and vegetables. This activity took place as a part of Chatrium’s “Think First, Think Earth” campaign.